Systems Biology is the systematic study of the interactions between the components of a biological system and studies how these interactions give rise to the function and behavior of the living system. Through this, a life process is to be understood as a whole system rather than the collection of the parts considered separately. Systems Biology is therefore more than just an emerging field: it represents a new way of thinking about biology with a dramatic impact on the way that research is performed. The logical approach provides an intuitive method to provide explanations based on an expressive relational language. 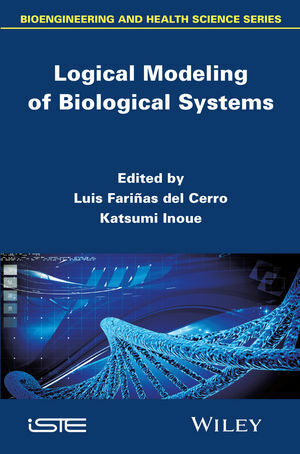 This book covers various aspects of logical modeling of biological systems, bringing together 10 recent logic-based approaches to Systems Biology by leading scientists. The chapters cover the biological fields of gene regulatory networks, signaling networks, metabolic pathways, molecular interaction and network dynamics, and show logical methods for these domains based on propositional and first-order logic, logic programming, answer set programming, temporal logic, Boolean networks, Petri nets, process hitting, and abductive and inductive logic programming. It provides an excellent guide for all scientists, biologists, bioinformaticians, and engineers, who are interested in logic-based modeling of biological systems, and the authors hope that new scientists will be encouraged to join this exciting scientific endeavor. Luis Fariñas del Cerro, Professor, IRIT, Toulouse, France. Katsumi Inoue, Professor, NII, Tokyo, Japan.